Two paths one night. Enjoy a night out with friends in the immersive and interactive Last Call 360 web experience. Explore the bar to play games and have conversations. Keep exploring to see where the night takes you. Check it out now at nhtsa.gov/lastcall. It’s our goal to encourage everyone to get home alive. Please drive sober or you will get pulled over. Driving drunk is a bad idea. 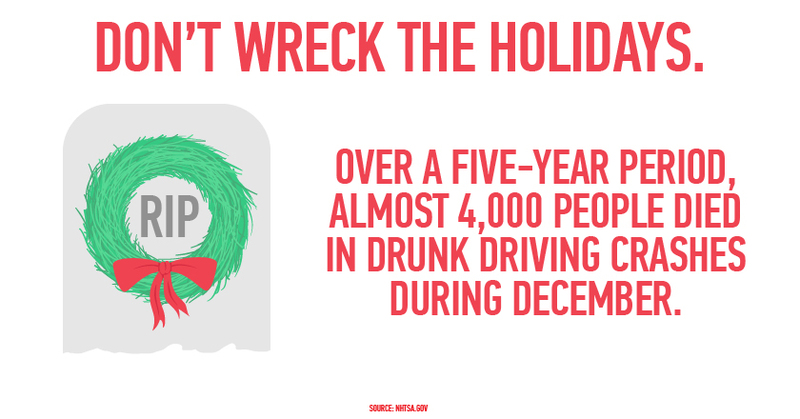 Don’t become another statistic. After you check out these infographics, share them with a friend. The National Highway Traffic Safety Administration is leading the effort to stop drunk driving. Do your part!